Lobongo lotika is a flaky parcel, filled with kheer (sweetened, reduced milk), sealed with a clove, deep fried, and coated with sugar syrup. 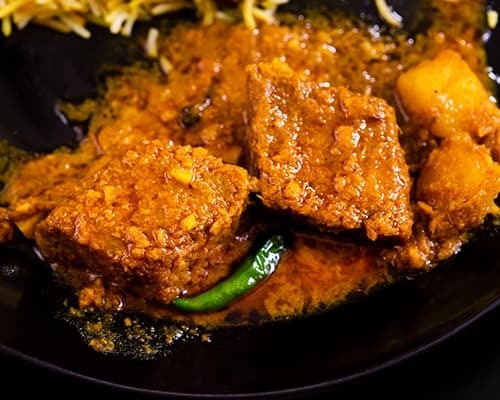 Bengali cuisine is no stranger to sweet tea-time snacks, and certainly not to those that involve kheer, flour, and deep-frying. Lobongo lotika, like mishti shingara and goja, is a flaky, deep-fried, sugar-syrup-coated pastry. Like the mishti singara, it is also filled with kheer. But what gives lobongo lotika its whimsically poetic name is the fact that the kheerenvelopes, once folded, are sealed with a single clove (lobongo). This recipe calls for only six ingredients, all of which you undoubtedly have on hand. The preparation is elaborate. Deal with each stage, one at a time, as shown below. The filling (kheer) can also be prepared 3 to 5 days ahead of time, and stored in an airtight container in the refrigerator, till needed. Take 1 kg milk in a heavy-bottom saucepan and set it to boil. Once bubbling, stir in 45 g sugar. Keep boiling the milk, while stirring it continuously, for about 90 minutes. During this entire time, the pot should be on medium to low heat. 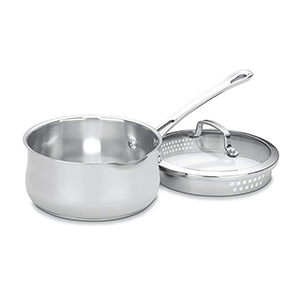 At regular intervals of 3–4 minutes, scrape the solids from the bottom and sides of the pot, and incorporate them into the boiling milk. This step, as well as the previous one, is crucial. We don’t want our kheer to burn at any point. 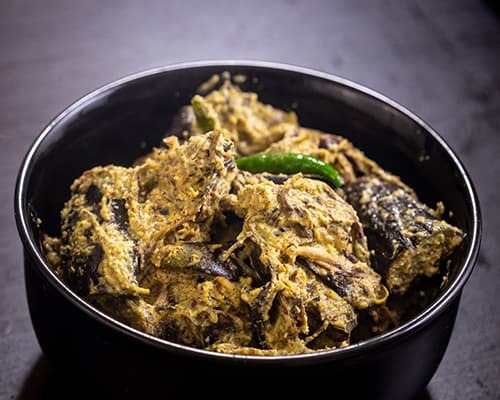 Once the milk has reduced and thickened (when you lift some of it on your spoon and drop it, it should falls in clumps), make a paste of ¾ tsp flour and 1 tbsp milk. Add this paste to the pot. Stir and cook for another 5 minutes. Divide the kheer into 10 portions of 20 g each. 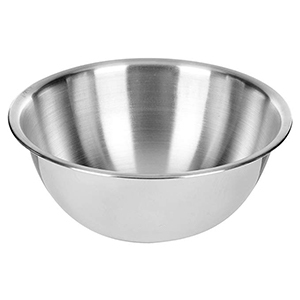 In a mixing bowl, take 200 g flour, 40 g ghee, and 4 g salt. Mix these ingredients well till they take on a bread-crumb texture. The idea is to distribute the fat among the flour particles, in order to make the pastry crisp and flaky. Now, add in 80 g water. Mix until the dough comes together. This is a tight dough, so don’t add more water even if it seems a bit dry at first. Cover the dough and rest it for at least 20 minutes. Once the kheer has chilled in the fridge for at least 2 hours, and the pastry dough is rested for at least 20 minutes, proceed to shaping each of them. Shape each 20 g portion of kheer into 3 cm by 4 cm tablets. Put them back in the fridge to chill, till needed. Divide the dough in 10 portions of 30 g each. Shape each portion into a flat disc. Cover and rest, till needed. This proportion—20 g kheer and 30 g dough—will give you the best filling to pastry ratio. Roll each portion of the dough into a 14 cm disc, about 1 mm thick. 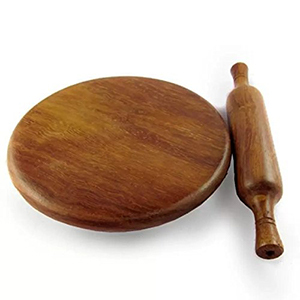 Place a kheer tablet at the centre of the disc. With your fingertips, apply water to the edges of the rolled pastry. This will act as a glue. Fold the opposite ends over one another, overlapping them. Press gently to seal. Turn the pastry over and apply water to the protruding wings. Fold them over each other, sealing them as you go. Use a clove to seal the topmost layer of the envelope in place. Follow these steps for all the pastries. In a saucepan, add 400 g sugar and 200 g water. Cover with a lid, and set it on medium heat for about 10 minutes, or till the sugar syrup starts bubbling. For this recipe, we do not want a thick syrup. It should be the consistency of, say, packaged fruit juice. Heat oil in a frying pan to 150°C. The oil should be 5-cm deep. Lobongo lotika is not fried in hot oil like other deep-fried snacks or crisps. Since this pastry has a lot of layers of flour, we must fry it at low temperatures to ensure that all the layers cook through. If you try to fry it at a high temperature, the outside may look brown and done, but the inner layers will still be gummy. Because of the slow frying, each batch of lobongo lotika will take about 30 minutes to cook completely. During this period, turn them every five minutes to ensure that the dough is getting cooked, and hardening, from both sides evenly. Otherwise, the kheer may start to ooze out of the softer end. In case the filling leaks into the oil, you may remove the damaged pastry from the oil and put it inside an oven at 175°C for about 20 minutes. Once the pastries are golden-brown in colour, drain them from the oil and dunk them in the sugar syrup. Coat well, shake off the excess syrup, and place them on a plate to cool.